police involved shootings from the perspective of both law enforcement and the families of those effected. This motion picture features Boston Police Commissioner William Gross, who gives a unique police point of view while also speaking from the perspective of a black man, as well as family members and of high profile police shooting incidents including the mothers of Baltimore’s Kevin Cooper, Oakland’s Oscar Grant and New York’s Amadou Diaollo. 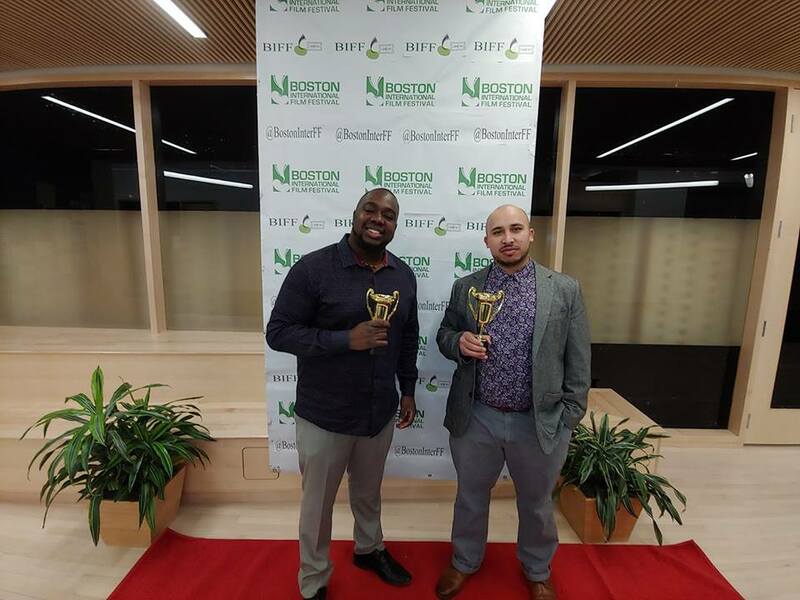 The Emmy nominated Noube Productions has announced that its latest documentary, “Protect, Serve and Care”, will premiere in Brockton on Saturday, February 2nd, 2019 at the Main Library. This is a free screening to the public and thanks to the Brockton Area NAACP, Hug Foundation, Office of Mayor Bill Carpenter, Brockton & East Bridgewater Police Department every attendee will get a free DVD copy! 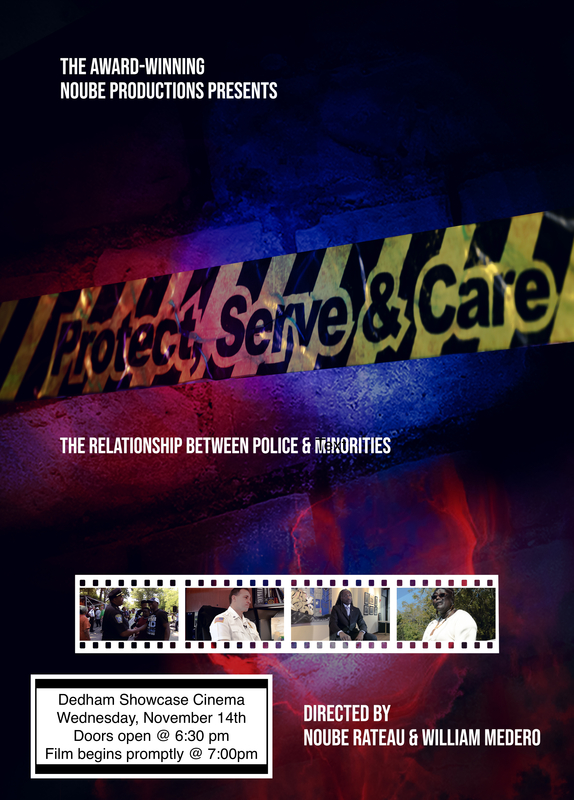 The Emmy nominated Noube Productions has announced that its latest documentary, “Protect, Serve and Care”, will premiere on Wednesday November 14, 2018 at The Showcase Cinema de Lux in Dedham at 6:30PM. This film examines the complex relationship between law enforcement and minorities and sheds light on some of the most controversial police involved shootings from the perspective of both law enforcement and the families of those effected. This motion picture features newly appointed Boston Police Commissioner William Gross, who gives a unique police point of view while also speaking from the perspective of a black man, as well as family members and of high profile police shooting incidents including the mothers of Baltimore’s Kevin Cooper, Oakland’s Oscar Grant and New York’s Amadou Diaollo. Director’s Noube Rateau and William Medero along with many others featured in the film will be on hand for the premiere.